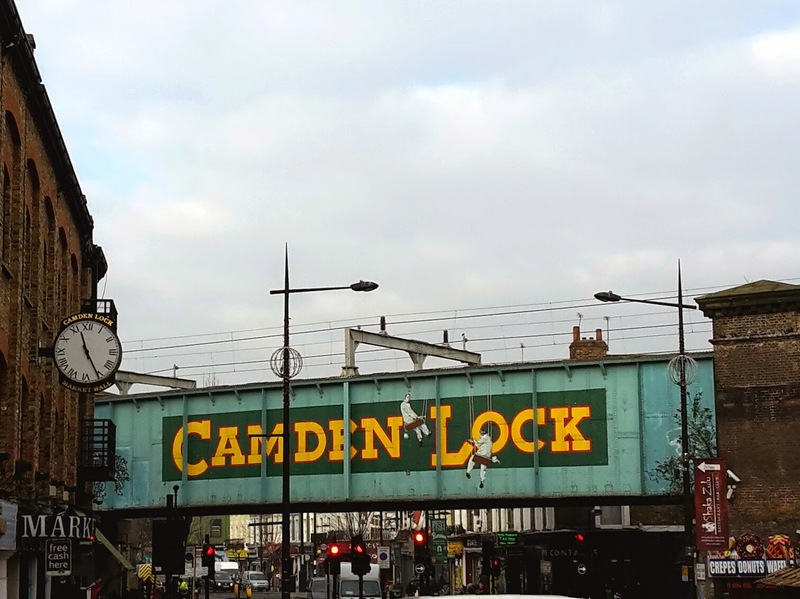 If you was a follower of my previous blog 'Happiness Crafts', then you would find I used to talk about London a lot and visiting Camden in particular. Before I moved to London, I would visit Camden twice a year with my Mum and we have been doing this since I was 14/15; that is nearly 10 YEARS AGO! (I have only just come to this realisation). Back in them years I was a little alternative shall we say and Camden Market was the perfect place to buy the majority of my clothing from. Each year we would go and my style developed further to being, at the moment and probably forever, a lover of all things vintage and incorporating vintage into my style particularly the 40s/50s. Anyways enough of this and back on to Camden. Since moving here in October the other day was the first day I went to Camden and without my Mum. Usually we would go on a Sunday were it is so busy you struggle to move and can only go ideally in one direction. 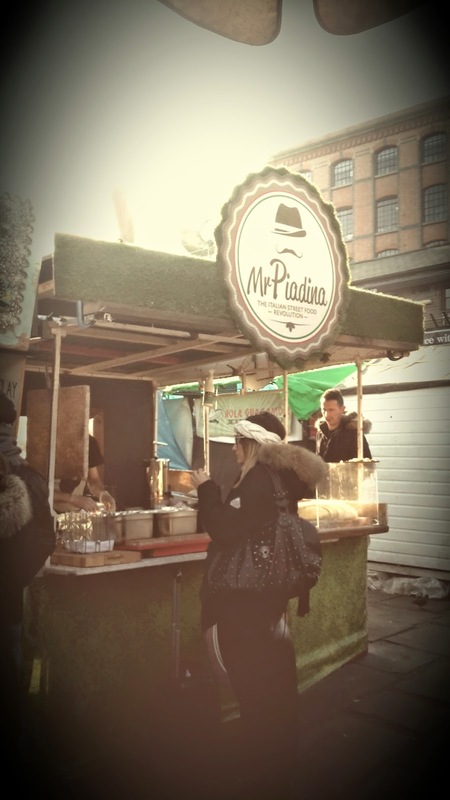 I decided against going at the weekend and it was quiet completely different to the hype I am use to, but luckily Camden Lock Food market was on and I had a little bite to eat for my lunch. 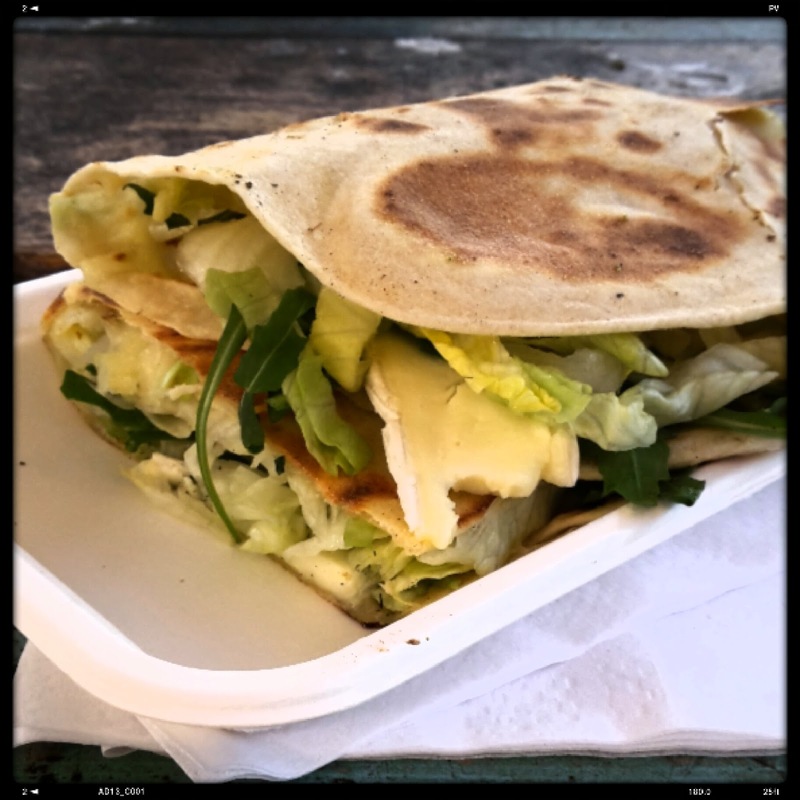 I decided to have a Piadina, which is Italian. It was so good I could have gone back for more. It had homemade pesto, rocket, tomatoes and finished with melted brie which wasn't too melted making me like it even more. If you ever see this place go to it they do do a meat option to for all you non veggie people out there. 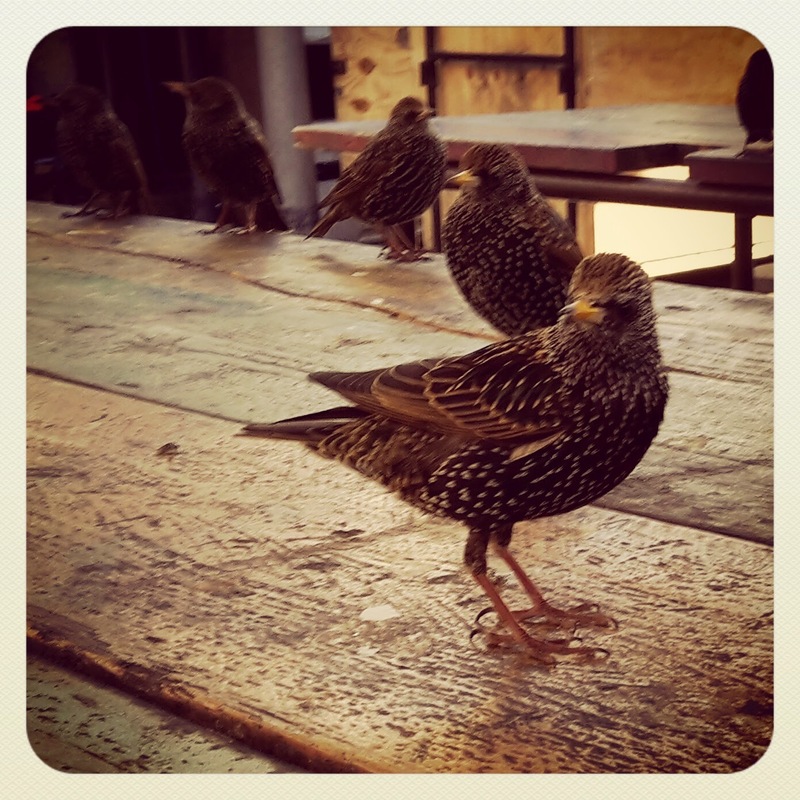 While I was eating my Piadina there was also some very hungry looking sparrows. 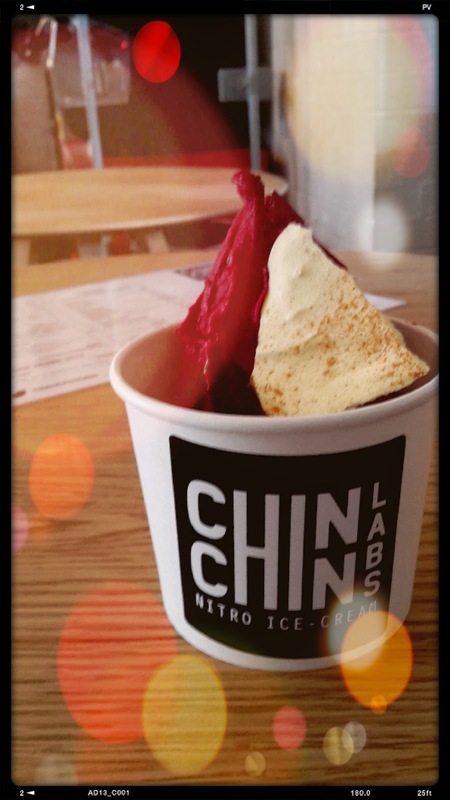 After my lunch I thought lets go for something cold, crazy I know, and went off and visited one of my favorite ice cream parlour, Chin Chin Labs, who making their ice cream using dry ice and a wonderful arrangement of flavours. The whole place is decorated like a laboratory with toppings in test tubes and beakers back in the day they would serve the ice cream with a medicine spoon as well. Anyways, I had the special which was beetroot with Saffron Meringue and little drizzle of chocolate sauce and all I can say is wow! You had the slight earthy natural sweetness from the beetroot with a little help of warm chocolate sauce with an added crunch from the meringue. I would love to have this again if they ever bring it back! Taking a visit to Camden wasn't just about the food, I went and visited one of my favorite vintage reproduction clothing store; Collectif. 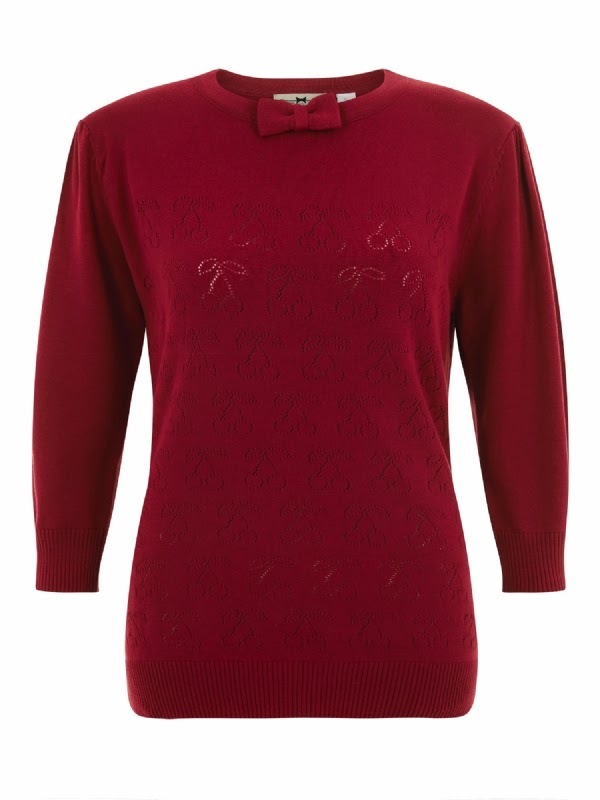 I have a wide range of their clothing and that visit was to be no exception, I picked up a very cute cherry print jumper with a little bow in the sale for £18 (I had seen this prior to the sale) and I also picked myself up a bargain, a pair of cropped high waisted jeans at £7! I don't know how I did it though as they look like they are full price online. Now I am not one to wear trousers/jeans but these were a snap and look great on. I will take a picture soon of this ensemble but for now here is a picture of the items I brought. I hope I can take more visits to Camden and take one of my besties, Mel with me to enjoy some amazing ice cream!